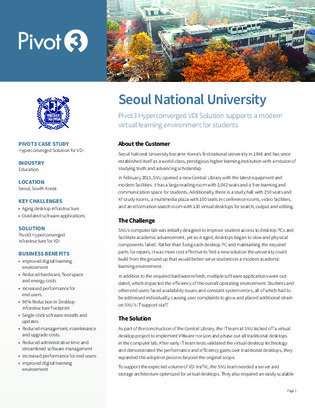 Seoul National University’s (SNU) computer lab was in need of a large-scale hardware refresh. On top of that, they needed to improve application availability across environments. Rather than fixing each desktop PC and maintaining the required parts for repairs, they found that it would be more cost effective to find a solution they could build from the ground up. Download this case study to find out how a hyperconverged VDI solution was the answer to all of their challenges.